Once upon a time tennis : 7th book for learning and teaching tennis . 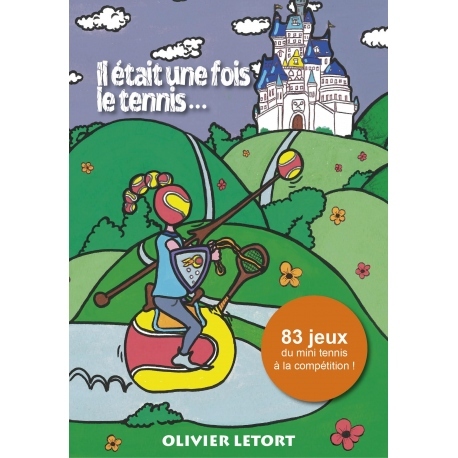 You will find in this book for 39 games and 44 games Mini Tennis for Tennis Cooleurs . A total of 83 games, detailed , illustrated , simple, practical and informed by educational comments to understand their interest to advance players. Mini tennis and Tennis Cooleurs, two concepts become evident today despite the difficulties and resistance encountered. Obvious because they support each other and the reality of the field, where it all happens . Gathered in this book the most significant and relevant games without derogating from the foundations of Mini Tennis and Tennis Cooleurs . 83 games are detailed and illustrated , simple, practical and informed by educational comments to understand their interest to advance players. Mini tennis to the competition on 18 and 24 meters , all the public are concerned by these new games . Chapters covered : Mini tennis : concept and presentation of five major themes , 39 sets of mini tennis / tennis Cooleurs : presentation of the concept , 44 games on learning tennis , competition across the Cooleurs Tennis . Fiche technique : format 16 x 23 cm, 120 pages, many diagrams and photographs.